Here in Puyallup we know it’s nearly fall when the sky is lit with twinkling lights from carnival rides, the air is filled with the smell of onion burgers and the streets are packed with circling cars. Yes, locals do have to put up with some headaches during the three-week-long spectacle that is the Washington State Fair, but I don’t know anyone who would skip it. Here are my family’s best tips for making the most of your fair trip this year! The Fair is free the morning it opens (Friday, Aug. 31) from 10:30 a.m.–12:30 p.m. You’re asked to bring a canned-food donation as part of Komo’s First Day at the Fair Food Drive. You can also get in free on Friday, Sept. 7, from 10:30 a.m.–12:30 p.m., after the Rodeo Parade and Cattle Drive. Be sure to get there in time to watch the cattle drive, a free parade at 10 a.m. right through downtown Puyallup. You’ll get to see draft horses, royalty, real cowboys and cattle walking right down the street. Then head to the fairgrounds for free entry from 10:30 a.m.–12:30 p.m. You are asked to bring a donation of school supplies. There is even a bargain breakfast in Pioneer Park beforehand. If it works with your schedule, there is no better way to do the fair! BECU Free Kids’ Weekend: Free gate admission all day for kids ages 18 and under, Aug. 31–Sept. 3, no coupon required. Military Appreciation Mondays: Free gate admission all day for active, reserve and retired military personnel and dependents on Labor Day, Monday, Sept. 3, Monday, Sept. 10 and Monday, Sept. 17. Extreme Deal: Save on Extreme Scream rides on all Mondays, Wednesdays and Thursdays (except remember, the Fair is closed Wednesday, Sept. 5). Pick up a Fair Value Pack at Fred Meyer (by Sept. 1 or while supplies last! ), which includes two gate admissions, rodeo discount, Fair bucks for food, ride discounts and more. Check the website for even more deals. An exciting new attraction for families is the Farm at SillyVille, which offers a “farmer for a day” experience in a 1.5-acre farm area that teaches kids farming concepts. Through a variety of hands-on stations, kids can learn about the milking process at the dairy barn, drive a combine to harvest wheat, gather eggs from animatronic chickens, see chicks hatch and learn about animal life cycles. The Fair offers tons to do. 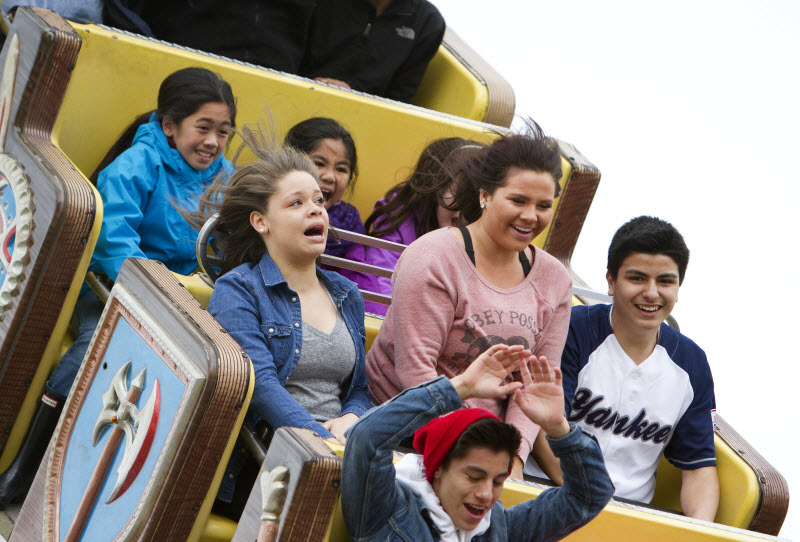 There are mini-rides for kids in Sillyville and plenty for thrill seekers on the big rides at the Midway. You’ll also find live entertainment, rodeo, vendors, halls full of hobbies and educational booths, agricultural displays and much more. Here are several more features of interest to kids. Cirque Ma'Ceo Equestrian Stunt Show (Aug. 31–Sept. 3): A show featuring equestrian stunts and daring horseback acrobatics. Enjoy choreography, live singing, and heart-pounding stunts on horses, highlighting the beautiful bond between man and horse. $7; ages 5 and under free. Animals of the World (Sept. 6–12): Exotic animals from around the world are on display in M Barn at the Animals of the World exhibit. Nigerian dwarf goats, yaks, miniature zebus, zebras and many more animals will be awaiting your visit. Discover the Dinosaurs (paid exhibit): Don't miss this unique exhibit featuring life-like anatomical moving dinosaurs. See favorites like t.rex, velociraptor and triceratops and learn about these creatures with hands on exhibits like prehistoric poop, Dino Dig and a computerized Bone Scanner. Cost: $7, plus gate admission; kids 2 and under free. In addition to these kid-friendly features, there are dozens and dozens of returning fair attraction that won’t cost a dime. If you want the full scoop, check out this handy list of 101 free things to do at the Fair. 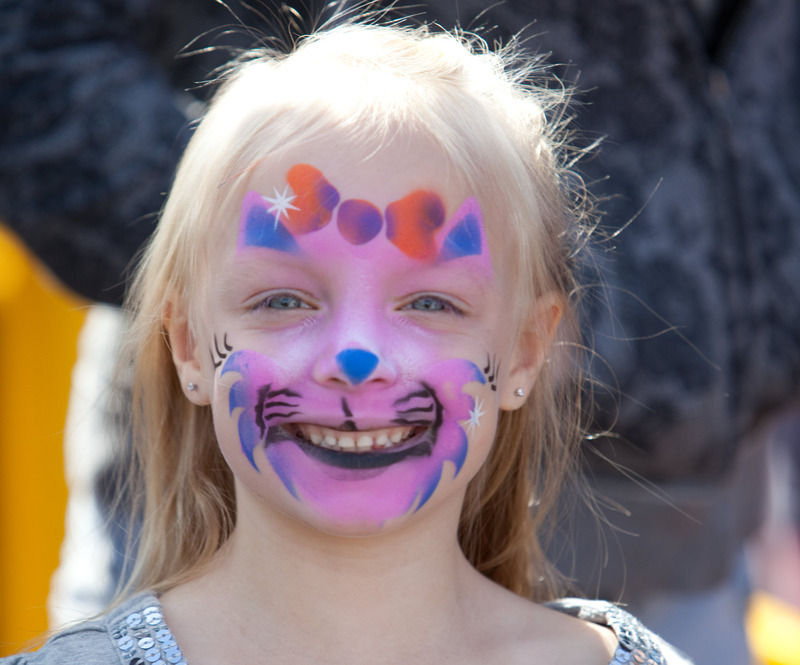 SillyVille has free face painting. Note: The SillyVille restroom also has a nursing station. Changing tables are in men’s and women’s restrooms all over, and there are also plentiful handwashing stations. If you have young children, be sure to head to the Fair Farm where they can meet and pet all kinds of animal friends, including cuteness galore in the Piglet Palace. 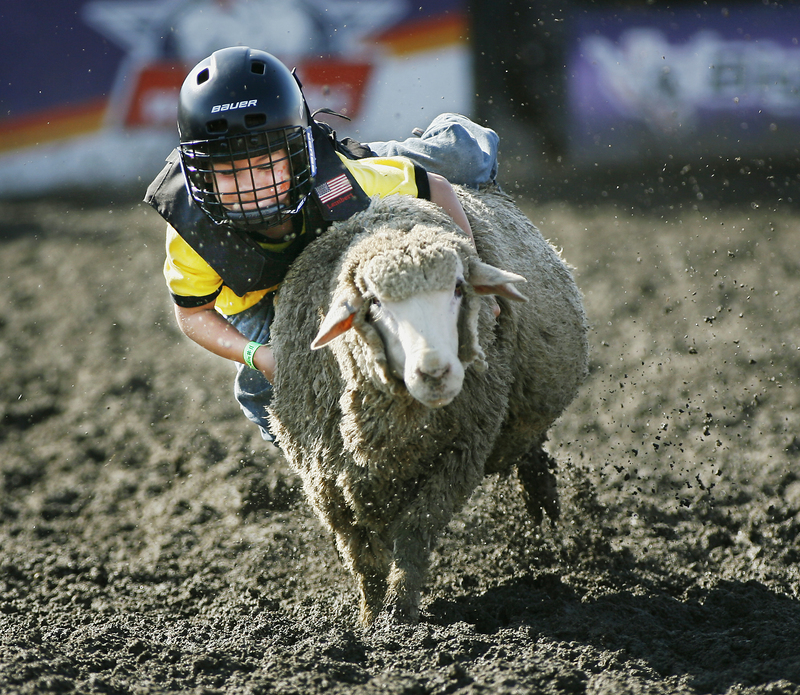 Your little cowboys and cowgirls may want to try their hand at mutton busting — a scaled-down version of bull riding, where kids ages 4–7 and under 60 pounds (try to) ride sheep! It's an extra fee to ride but free (and totally entertaining) for spectators. Our boys also love the free fishing (weekends only) in the Northwest Outdoors exhibit and the free milk samples at the dairy barn. Also look for free entertainment and cultural experiences on the various fair stages. The Hobby Hall has lots of great exhibits and a free Lego play area. If the big rides are your family’s thing, buy an admission bundle in advance (by Aug. 30), or go on Xfinity Dizzy Pass Weekend (Sept. 8–9). Buy your pass in advance to save $10 on unlimited rides. Expect some longer lines, but if you have kids who love to ride, you will easily get your money’s worth. Note that the Dizzy Pass excludes certain rides. Fair food is the other potential budget buster. Pack your own, or eat at home (as we do), so you aren’t walking past the booths with empty stomachs. We do splurge for scones. Skip the games, which are expensive and practically impossible to win. If you want to avoid traffic and parking lines, public transportation is a good choice. Pierce Transit has bus service from Lakewood Towne Center, Tacoma Mall or the South Hill Mall. Riders from as far north as Everett can also take the Sounder Train with a package on select days that includes round-trip fare and admission. There are also two Sound Transit bus routes available from the Seattle area. For a slightly plusher experience, you can try the new Starline Express bus, which picks up from Kent on Saturdays. If you want to drive yourself, be prepared for traffic on the weekends and bring cash for parking. Some families prefer to pay the premium to park in one of the close, official lots. Enterprising locals also sell parking in their yards and driveways for around $10. We suggest you try a school — the money is going to a good cause, and they’ll have PTA volunteers out and about all day. Hopefully, a few of the secrets I spilled will help you enjoy your outing to the Fair this year! Editor's note: This article was originally published in 2015 and updated in August 2018.